Was born in Santiago de Veraguas, a tropical city in the middle of Panama, and has resided in Philadelphia since 1992. He attended the Royal Conservatory Superior of Music in Madrid, Spain (1978-1985) and holds a Masters degree in Classical Guitar and a Doctoral degree in composition from Temple University. He studied composition with Maurice Wright and Leo Brouwer (Cordoba Festival); and guitar with José Luis Rodrigo, José Luis González, Ricardo Cobo, and in master classes with Manuel Barrueco. His music has been played by the Philadelphia Classical Symphony, the Delaware Symphony, Grand Rapids Orchestra, Jackson Symphony, Panama National Orchestra, Temple University Orchestra; and by ensembles and soloists from Europe, the United States and Latin America. 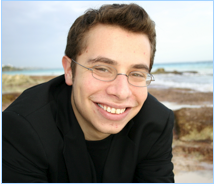 Pardo-Tristán has been awarded by the American Composer Forum, Presser Foundation, Society of Composers INC., the Pennsylvania Council on the Arts, Society of Music Theory, the Prism Quartet, and received the Temple University’s Dr. John Henry Heller, Jr. Memorial Award for excellence in composition. As a guitarist, Pardo-Tristán has performed in Panama, Martinique, Austria, USA and Spain. 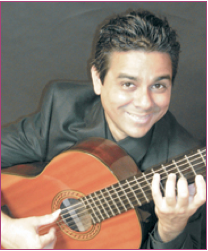 He is the founder, president and artistic director of the Panamanian Guitar Association, which organizes the International Guitar Encounter. Pardo-Tristán has released three CDs: “Hecho en Salamanca,” “Contemporary Chamber Music from Panama,” and "Classical Guitar Journey". He was recently awarded a postdoctoral fellowship at NYU, where he will be working on his project: "Transmuting the Folklore: Converting Original Transcriptions of Panamanian Mejorana Music into a Large Composition for Full Orchestra and Choir." 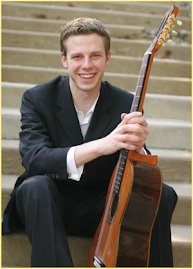 Born in 1986, classical guitarist Michael Poll has performed in such diverse locales as Antwerp, Belgium; Quebec, Canada; and Maui, Hawaii. A native of Philadelphia, Poll has played solo recitals at the Free Library of Philadelphia, Rose Recital Hall at the University of Pennsylvania, Presser Auditorium at the Settlement Music School for the Philadelphia Classical Guitar Society, and most recently in the spring of 2008 at Penn’s Amado Recital Hall. In the summer of 2007, Poll was named a fellow of the Norfolk Chamber Music Festival, where he performed new ensemble works by composers from around the country. Currently a student at the University of Pennsylvania, Poll sings baritone in the University Choral Society and has performed often as a member of the Penn Baroque ensemble, with whom he was featured in 2005 as a soloist performing the Weiss Concerto à Cinq in C both in master class with conductor Nicholas McGegan and in concert. An avid advocate for the environment, Poll is a former director of the Green Campus Partnership and has served on the executive board of the Penn Environmental Group. In his spare time, he enjoys swimming and spending time outside cycling. Poll is currently a student of internationally acclaimed guitarist Benjamin Verdery, guitar department chair of the Yale School of Music, and Frederic Hand, principal guitar of the Metropolitan Opera. 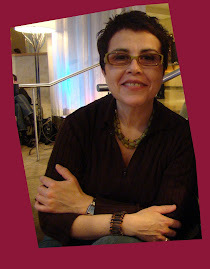 Marisol Rampolla was born in San Juan, Puerto Rico, where she began her guitar studies with Moises Rodriguez, Eduardo Flores, and Juan Sorroche at the University of Puerto Rico. Here in Philadelphia she studied guitar performance with Peter Segal at The University of the Arts. Marisol also spent a year studying with José Tomás at the Conservatorio de Música de Alicante. While in Spain she also had the opportunity to study with David Russell. She returned to Philadelphia with a full scholarship to complete her Master’s degree in Guitar Performance at Temple University with Peter Segal. In addition to performing, Marisol teaches at the Community College of Philadelphia and Settlement Music School, helping students to broaden their performance opportunities through collaborative teaching and learning. Marisol has performed as a soloist in many venues, but finds ensemble performance her greatest joy and pride. She performed for over ten years with the Philadelphia Classical Guitar Trio, and now with ’Sol’, and new double bass and guitar duo. The trio has performed internationally, and throughout the east coast region of the United States. 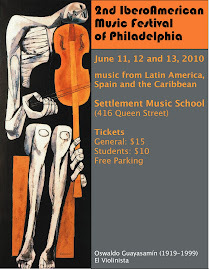 In Philadelphia the trio has presented concerts for the Latin American Guild for the Arts, Philadelphia Classical Guitar Society, Matinee Musical Club, Asociación de Músicos Latinoamericanos. Abroad, the trio were the featured performers for the 1999 Festival Internacional de Guitarra de Puerto Rico, and for the 3rd Encuentro Internacional de Guitarra de Panamá 1999. Marisol can be heard on several recordings, and has made television appearances both solo and ensemble. She recently published an article Remembering Paulino Bernabé, in the latest volume of Soundboard, The Journal of the Guitar Foundation of America, Volume XXXIII. Kimbal Brown began studying trumpet at the age 9 receiving his first formal training at Settlement Music School where he continued until the time of his graduation. During this time Kimbal played in community music groups and attended the Shawmont Middle School Music Magnet Program. For high school Kimbal went to Central High School where he studied Music Theory and composition with Italo Taranta and played in the Orchestra under the baton of Stephen Wilensky. While at Central High he played in the Philadelphia All-City Orchestra and Concert Band. He performed Bach's "Brandenburg Concerto No.2" with the All-City Orchestra and Handel's "Let The Bright Seraphim" at Settlement's Annual Concert in his senior year. The next 4 four years of training were spent at Boston's Berklee College of Music. Studying with icons in the Jazz and comtemporary music scene he perfected the skills of Jazz trumpeter. Studying with Jeff Stout and learned the techniques and methods necessary to be a Music Educator. While at Berklee he received several awards for musical and academic achievements including a scholarship from one of Boston's oldest and respected local Musician's Union Chapters and was awarded by the Brass Department Faculty. 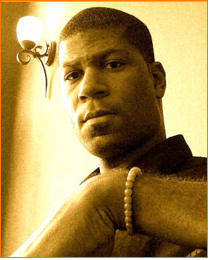 In 1992 he received his Bachelors Degree in Music Education. Since then Kimbal has lived and worked in places like New York, Italy, Spain, Hawaii, Japan, France and Monaco (just to name a few) and is called to play many different settings and styles of music. While traveling he performed with legendary entertainers such Rita Moreno, Norm Crosby, Red Buttons, Al Martino and many more. Currently Kimbal is living in the Philadelphia region where he teaches trumpet/ Brass techniques and Improvisation at Settlement Music School, Germantown Friends School, Community College of Philadelphia and his private studio. He has recorded most recently with Sonic Liberation Front, Puzzlebox Experiment, Jenkins/Brown Group, Chet Delcampo as well as many area symphonic and chamber orchestras. As a freelance musician he can be heard regularly with The Crosstown Brass Quintet, Jenkins/Brown Group, the Puzzlebox Experiment, Gregg Mervine Quartet as well as many local orchestras and concert bands. While at Berklee he began studying and practicing bass and guitar because he loved those instruments and the beautiful sounds they can produce. Playing Jazz bass and classical/jazz guitar as an alternative outlet of musical expression away from the trumpet. 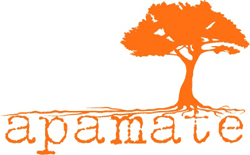 In 1999 Kimbal met Marisoll Rampolla at Settlement Music School as her student on Classical guitar. They became friends quickly because of a mutual love of music and went on to perform the musical partnership that they have today. With an artist’s grace and a Caribbean soul, the Dalí Quartet is today’s freshest voice for Latin American musicians. among others. 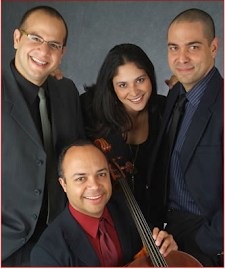 The only Latino string quartet based in Philadelphia, the Dalí serves as Artists in Residents at the Community Conservatory of Music in Doylestown, PA, where it hosts the Dalí String Quartet Summer Music Camp and Festival. The Dalí Quartet presents many educational concerts each year. These popular events include lectures and workshops for children in grades K-12, as well as interactive concerts for the entire family. Trained by world-renowned artists, members of the Dalí Quartet have studied at esteemed institutions such as The Juilliard School, Indiana University Bloomington, and the Simón Bolivar Conservatory in Caracas, Venezuela.